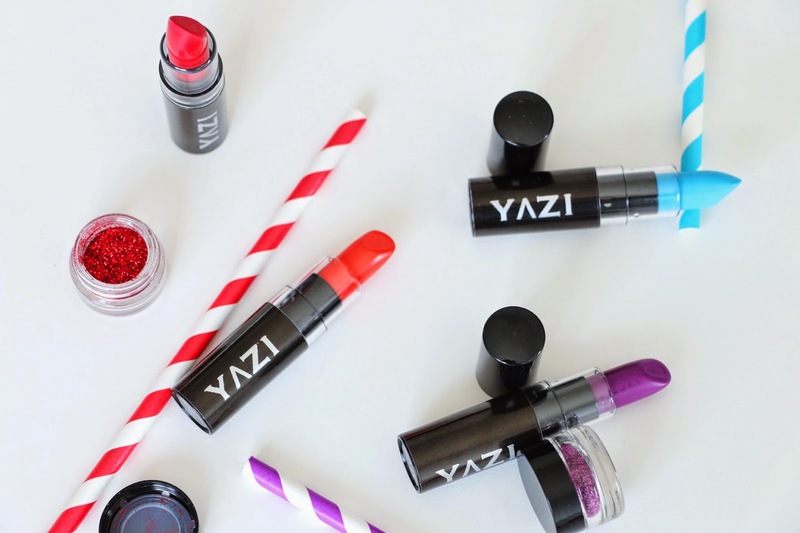 I love a pop of color in my lipstick. 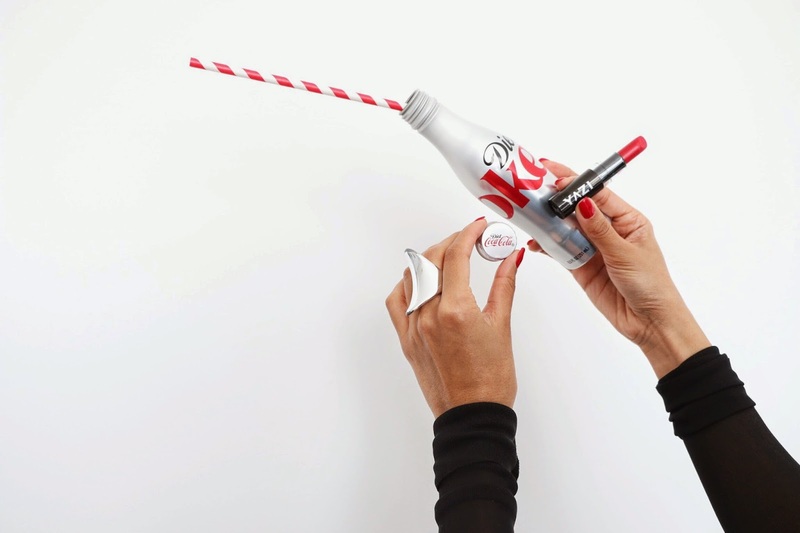 It reminds me of that one bold, red streak on my favourite soda can labels. 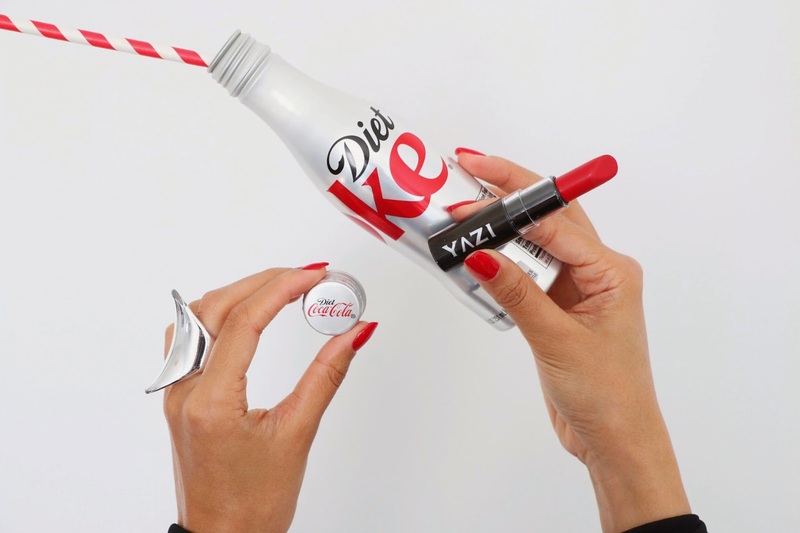 So what better way to display my Yazi Lipstick than with my matching striped straws, sipping on soft drinks? I have to admit, I'm a label whore & love logo t-shirts with that 'in your face' branding. Voila! A 7-Up tank. It just seemed fitting for the occasion. 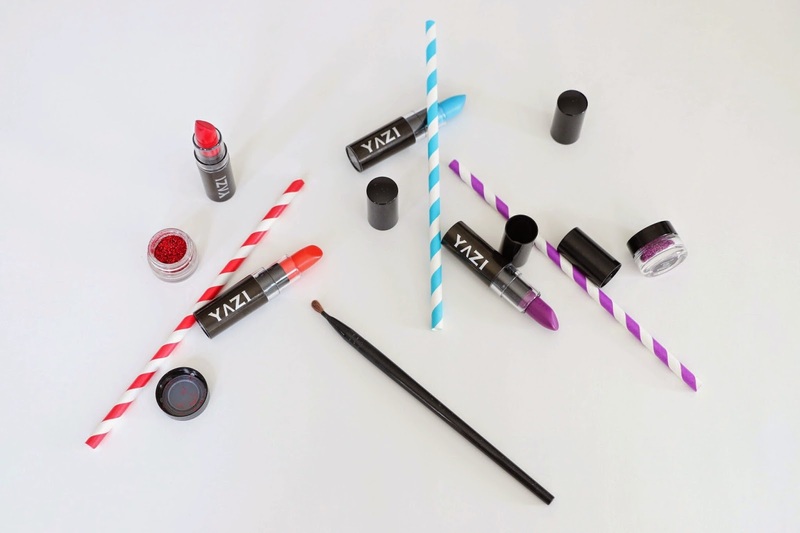 Yazi Cosmetics, a Toronto based company, creates cruelty & paraben-free products. 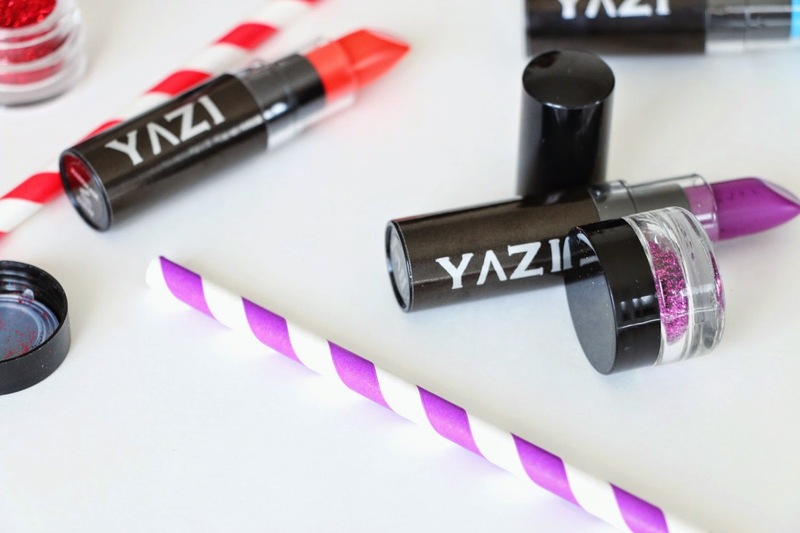 They offer highly pigmented lipsticks with a wide variety of metallic colors and you can even add sparkles to any lipstick for a holiday or party look. Very much so popping with color! I like how the red especially looks good against your skin Jyoti. Thank you! I love the red too. Now I know why my sis is always wearing it.